Whose watching K Michelle My Life on VH1? K. Michelle is one of the realest female artists I know. She's hilarious, definitely check out her show which I will link below. 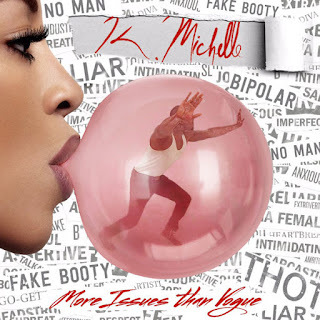 K Michelle is currently preparing for the release of her third album, More Issues Than Vogue which will act as the highly anticipated follow-up to 2014’s Anybody Wanna Buy a Heart? Jason Derulo is the only collabo on the album, and K has already showcased her first single 'Not a Little Bit,' from the upcoming body of work. Definitely will be bomb.